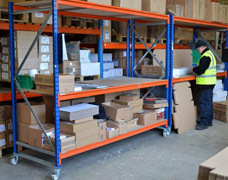 Longspan racking also known as wide-span shelving is the ideal heavy duty racking system for the practical storage of hand loaded items in warehouses, factories, workshops and large stockrooms. 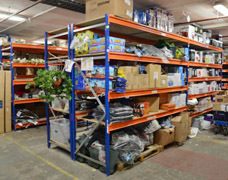 Essentially a scaled down version of pallet racking, Longspan shelving features the same easy to assemble and adjust features of its heavier duty relation but is more suited to storing individual items or boxed quantities of goods. 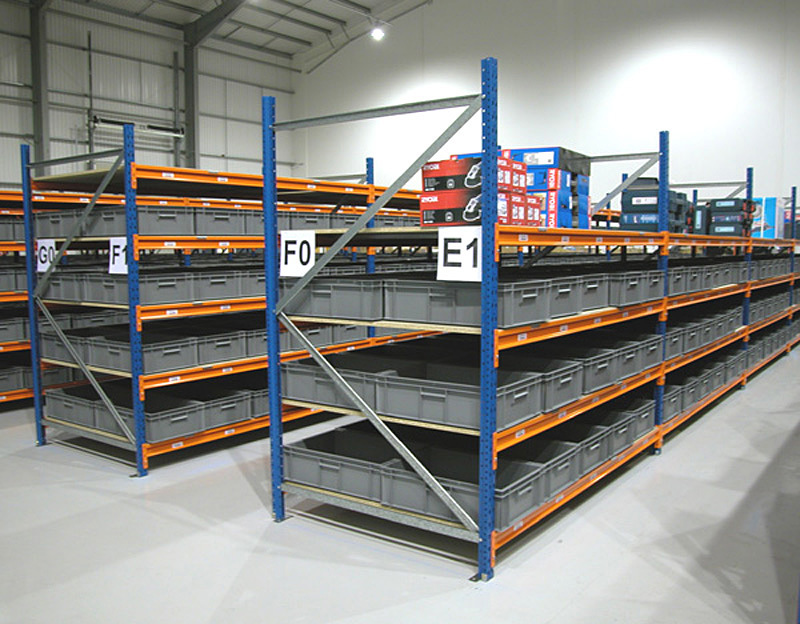 Available in a diverse range of sizes, long span shelves can be supplied in configurations to fit into just about any storage space. Although typically used for holding approx. 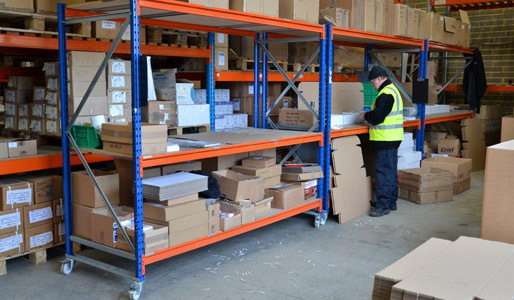 500kg per shelf, loads of up to 1000kg (UDL) are possible which makes this ideal bulk storage racking for heavy items in industrial storage areas. 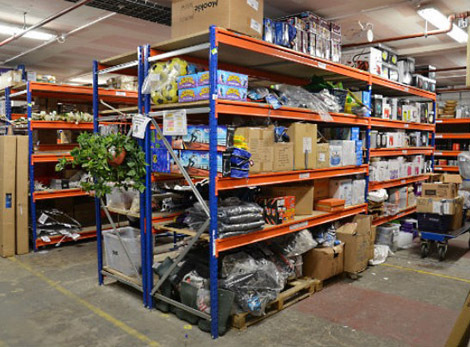 The first two examples here (top and below-left) clearly show how two different retailers use this style of racking in similar ways, both use long span racks to create very wide uninterrupted storage levels that can store a variety of boxes, cartons and individual products. 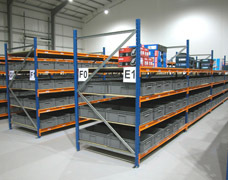 The 50mm height adjustment of each shelf beam allows you to create storage divisions that suit your stock profile. Chipboard is most commonly supplied as the shelf material but steel decking panels are also available to suit a range of applications and industries.